Advertising is one incredibly complicated industry that, at times, works almost directly with supply and demand. One incredible simulation of the practically inundating world of advertising is the Google AdWords platform, which is almost a perfect display of competitive advertising, or at least how competitive advertising should work. People bid on keywords and compete for searchers’ attention — the higher a bid, the better the ad positioning (usually). The Google Adwords system, like any other free environment, is largely ruled by supply and demand. There are only so many clicks to go around, and with an abundance of new businesses growing online and old businesses transitioning to the World Wide Web, competition is fierce and PPC bidding gets expensive. Since there’s limited supply and many companies demanding a specific keyword, the price goes up. As the price goes up, some businesses can’t afford the clicks anymore and drop out. Finally, supply meets demand at a price range that supports the strongest advertisers who are willing to pay more per click since ultimately most PPC bidders are working towards higher profitable performance. Media and other mediums of advertising can be bought in almost the same way. Google does this well though, with its bidding system that helps to sort out the big budget advertisers versus the small budgets. Some PPC campaigns fail because they can’t pay Google enough to show their ads in the right positions. Think about a TV network, and pretend you’re a small business. You give them some cash each time they give you some placement. But the fact is, they’ll give preference to the advertisers that give them the most money first, and if they have any leftover airtime, they’ll squeeze you in and invoice you. Bottom line: Bigger budgets almost always win the advertising turf war. Of course, this doesn’t mean they’re bigger or better companies, this just means they get the prime spots and the limelight. Not all advertisers are trying to shoot for the prime-time spots though, just like how your small lawn mowing business might never bid on the keyword “lawn mowing.” Their audience might not be there, or that audience, frankly, might just be too expensive to acquire. They’re going to hit the long tail of the spectrum, paying 1/1000 of the price, targeting 1/1000 of the audience, but getting 3x better results. For your lawn mowing company, you probably can’t even serve 10% of the people searching “lawn mowing” because you can only cover areas within a 20 mile radius of the office. It’s all about targeting your niche wherever they are, rather than trying to reach a massive audience that might not connect with your message and products. The long tail is low hanging fruit for advertisers who can offer specific solutions to customers’ specific problems (i.e. “lawn mowing in Orange County”). There’s generally less competition in the long tail because there are less people that can actually service the sometimes incredibly specific requests of customers, so buying those spots is going to be cheaper and hopefully more profitable. Also, sometimes advertisers are forced into targeting the long tail only, because getting the prime positions is too costly without high enough conversion rates and advertising isn’t about impressions or clicks, rather it’s more about conversions and profitable sales. Bottom line: Niche targeting works great if you have a proper solution for that niche. Advertising gets competitive when everyone’s fighting for the same things, but when you’re the only one targeting a segment, you’ll find great leads at worthwhile pricing. Google does advertising perfectly, where ads that get clicked more get shown more and in better positions because searchers clearly like that ad. This makes the experience for consumers more relevant, and networks like Google don’t want to anger their audience by showing bad or irrelevant ads, so the best ads get extra points for being awesome. If you start off as an advertiser with a TV network, buying decent chunks of space at good pricing, paying on time, every time, and then buying more and more space, especially more expensive spots, the network will love you and reward you for your loyalty and on-going support. They’ll lower your rates for buying so many spots, and then as they see you continuing this purchasing behavior and if their audience seems to be reacting positively to all your ads, they will give you the more favorable positions as desired. The concept of quality score is almost like a customer relations metric for the best advertisers, where Google treats its best customers well – with cheaper ad rates and better ad positioning. If you’re paying Google a ton of money and providing good value to Google’s audience at the same time, Google will want to keep you on as an advertiser. Advertising platforms aren’t just built for revenue maximization. Ads need to be relevant and useful for their audience, or they’d be invasive, disturbances which would compromise the audience’s loyalty to the business serving up the ads. So quality score is a representation of an advertiser’s history in value for the business (higher budgets) and value for the audience (better ad relevance). Bottom line: Big budgets may get you what you want at first, but you will lose out in the long run if you neglect the final value for the user. Changing with the times, staying relevant, getting the most clicks and engaging the most people is crucial to effective advertising. Testing and learning is important to stay competitive and profitable. Static ads will only be effective for so long since customers won’t buy the same message twice. Your competitors will get smart too, and they will probably find ways to overtake you if you’re not constantly fighting to stay in the #1 spot. Relevance to the times and the changes in society are important to offering the best value for customers and to keep them engaged, continuing to provide value for your audience. 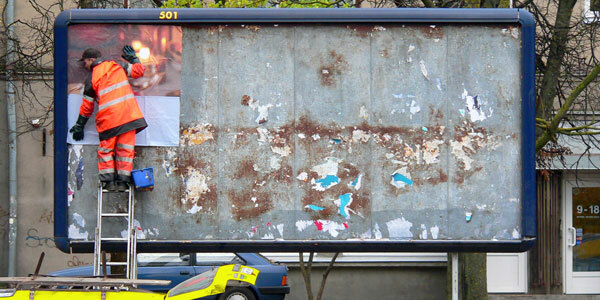 Bottom line: Good advertising is no longer a big budget and spray game. You also need to think hard about quality and relevance which will be crucial for successful advertising. The realm of advertising continues to get more and more competitive, and certainly not less competitive as some may think now with Social Media, Viral Marketing and SEO being cheaper, non-paid channels. In fact, advertising’s only going to get harder because smart marketers diversify their marketing strategy to not be dependent on one channel which can be volatile.